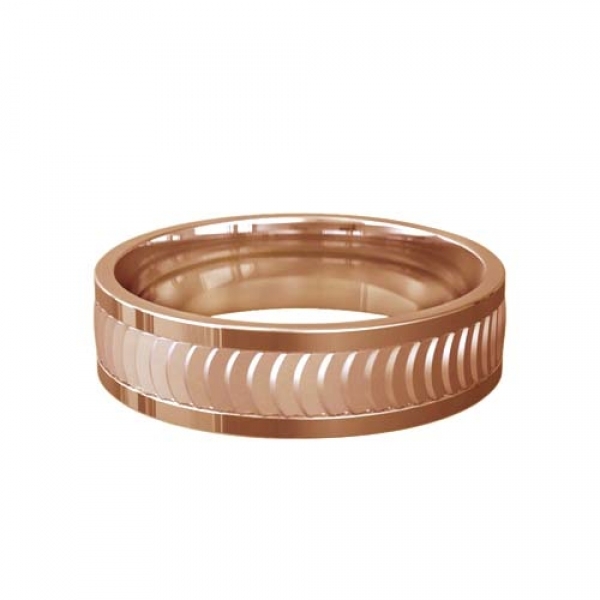 Rose Gold Wedding Ring Designer Pattern Lusso. 3 to 6mm wide Lusso Patterned Flat Court Wedding Ring. The centre of the ring is comprised of fourty semi-circle cuts. The sand plasted surface is bordered by the highly polished edges.